Award winner Carolina Panthers quarterback Cam Newton poses for a photo after the show in the press room at the 2012 NFL Honors at the Murat Theatre on February 4, 2012 in Indianapolis, Indiana. Cam Newton looked dapper in this cobalt blue suit with satin lapels at the NFL Honors. 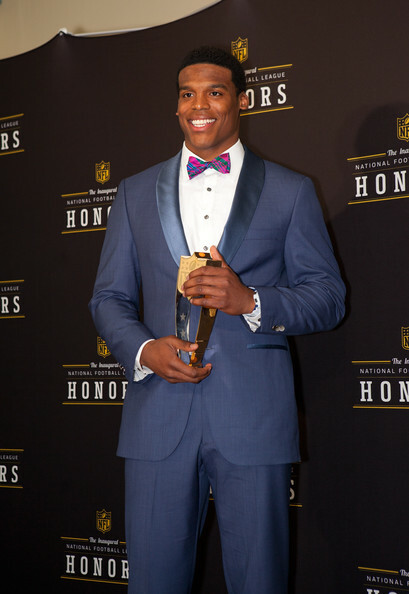 Cam Newton debunked the notion that you can't look manly in a pink and blue bowtie, well done!